Celina Jaitley is proud and gay. No, we don’t mean homosexual ‘gay’. 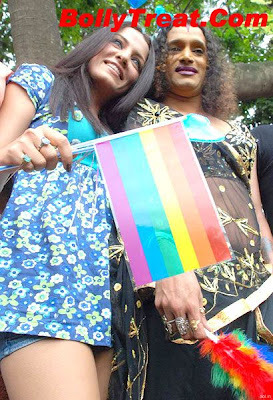 We just mean that she was pretty happy to be at the gay pride parade in Mumbai recently.The lady has been vocal about the rights of the homosexual community.This is what she had to say; “Gays too are a creation of god and they don’t choose to belong to a sexual minority. “I have some good friends who are gays. I have known them for a long time and I like them as people..Their sexual preferences are not under their control. It’s something they are born with.So why should we discriminate on the basis of sexual preferences? It’s not fair to isolate them like this,” she says. Uh, huh. Point taken. August 19, 2008. Bolly News, Celina Jetley, Sexiest Desi. Leave a comment. July 17, 2008. Desi Models, Sexiest Desi. 1 comment. It was Faisal Khan’s girlfriend Shikha’s birthday. And he made sure it is the best birthday she has ever had. THIS IS ONLY PREVIEW FOR FULL GALLERY CLICK HERE…. July 15, 2008. Cleavage Show, Events and Parties, Sexiest Desi. Leave a comment. July 7, 2008. 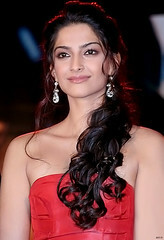 Sexiest Desi. Leave a comment. They are hot, single and can be dated! June 29, 2008. 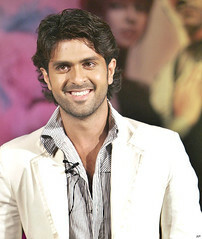 Bolly News, Sexiest Desi. Leave a comment. After being voted as the sexiest woman, Katrina Kaif is on the cover of Filmfare June edition. Check her out. June 22, 2008. Katrina Kaif, Sexiest Desi. Leave a comment. So what’s this khushboo all about? Let’s go to the sets and check out what is the cast and crew upto? June 12, 2008. Desi Models, Sexiest Desi. Leave a comment.